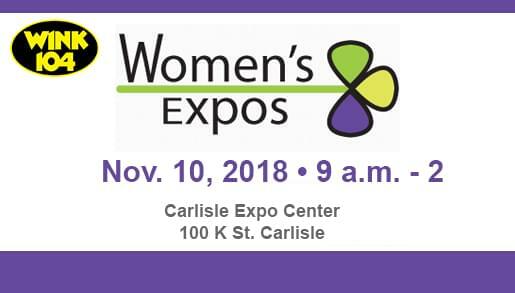 Attention, ladies… WINK 104 invites you to the Cumberland County Women’s Expo at the Carlisle Expo Center Saturday from 9 to 2! Presented by OLP Events, the Women’s Expo includes more than 80 exhibitors, a LuLaRoe Pop-Up Shop, health screenings and wine tastings, as well as demos, seminars and live entertainment! Admission to the Women’s Expo is $5 at the door, or register in advance for free at aGreatWayToSpendMyDay.com!